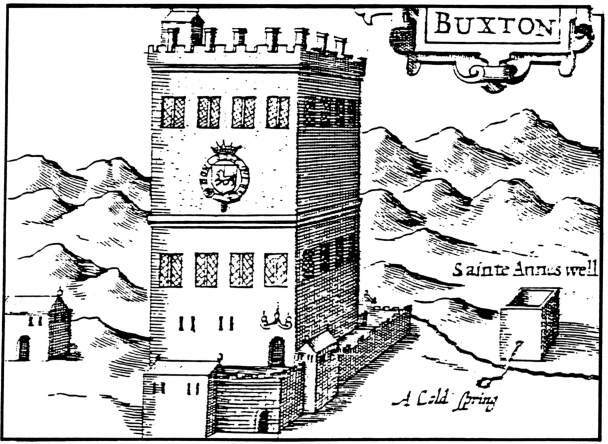 The aims of the Society are to engage in activities that explore and explain all aspects of the history of the market town of Buxton, the Peak District and its surrounding areas. 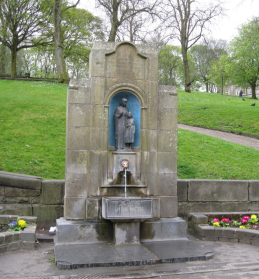 The Buxton Local History Society was originally founded in 1922 with the grand title of The Buxton Archaeological, Local and Natural History Society. Despite the recent shortening of the title, the aims of the Society are unchanged and remain to engage in activities that explore and explain all aspects of the history of the market town of Buxton, the Peak District and its surrounding areas. Regular meetings are held to hear talks and presentations by members and other speakers with a knowledge and interest in the area. Meetings are normally held at the Old Hall Hotel, Buxton, on the fourth Thursday of the month commencing at 7:30 pm. Visitors are most welcome. By using this link you are consenting to the Society storing your personal data until such time as your query is resolved. “ Next meeting: 25th April. Arts & Crafts Architecture by Trevor Gilman. This is a change to the advertised programme and Byrom Machin will now speak on October 24th "
Buxton Local History Society programme of events. 25th April. Arts & Crafts Architecture by Trevor Gilman. 23rd May. Spa Waters. Gill Williamson. 27th June. Afternoon visit to be arranged. July & August. No meetings. 26th September. Pavilion Gardens Project. Janet Byers and David Morton. 24th October. Folklore of the Moorlands. Byrom Machin. 28th November. A pint of beer & two packets of salt crisps. John Kingsland. 23rd January. The story of brake lining manufacture. Trevor Gilman. 28th February. AGM + website review. Locally known as “The Dome”, the main buildings of the University of Derby Buxton Campus were originally built in the 1780s as the “Great Stables” for the hotels and houses built by the 5th Duke of Devonshire in The Crescent. The stables were an irregular octagon with a central, open, circular courtyard surrounded by a colonnade so that horses could be exercised in inclement weather. In 1858, half of the building was given over to the Buxton Bath Charity so that poor people, mainly from the Manchester cotton mills, could be accommodated whilst receiving hydropathic treatments for arthritis and rheumatic conditions. In 1876 the remainder of the building was given to the charity and in 1881, to increase the number of beds, the dome was added to enclose the central courtyard, becoming “The Devonshire Hospital and Buxton Bath Charity”. The title “Royal” was conferred on the hospital by George V in 1934. This continued until 1948 when the hospital was taken into the National Health Service and finally closed in 2000. The site was acquired by the University of Derby, converted, and reopened in 2006.